Bombus occidentalis used to be the most common bumble bee species in the Pacific Northwest. By the mid-1990s it had become one of the rarest, inspiring a surge in bumble bee surveys in the region. 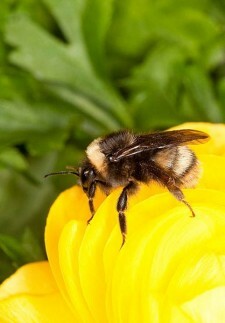 Recent studies show the bumble bee’s population re-emerging where it hadn’t been seen in the last 10 years. Good news, or a chance occurrence? Dr. Chris Looney from the Washington State Department of Agriculture returns to San Juan Island to share the latest “buzz” in Bombus research. Friday, April 29 from 7:00 pm to 8:00 pm at the San Juan Island Public Library. For more information please contact Tanja Williamson at 360-378-4402 or email at: tanjaw [@] sjclandbank.org.